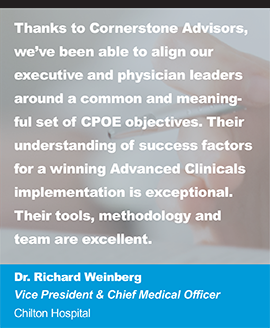 Do you want to see improved outcomes and cost savings in 2018? 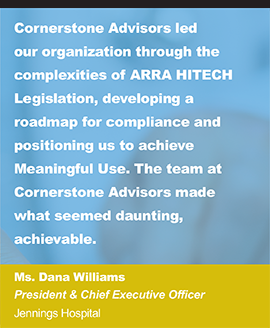 Cornerstone Advisors PEARL training assessment offers the roadmap you need. Contact us today to get started! Developing a cost effective, acceptance driven training program requires an understanding of the targeted interventions that will take your training program to the next level. 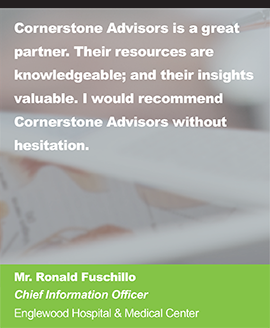 Cornerstone’s assessment takes a deep dive into the learning requirements of your end users, the gap in your training materials, and the current training delivery process. 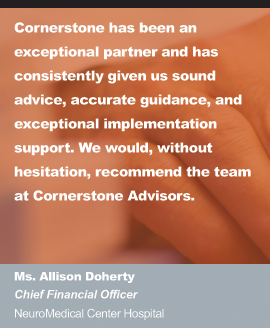 Through our research-driven assessment, Cornerstone Advisors will produce recommended interventions and program changes with anticipated ROI including impact and estimated dollar savings. 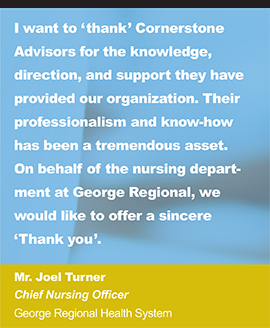 Cornerstone takes a proven, prescriptive approach utilizing best evidence to assess the current state of end user training and provide a roadmap of key interventions for the program. This includes something like the philosophy of the organization, the skill sets of both your end users and your project team, most recent peer reviewed literature. 33%-50% reduction in training time. 20% reduction in ongoing staff needs. 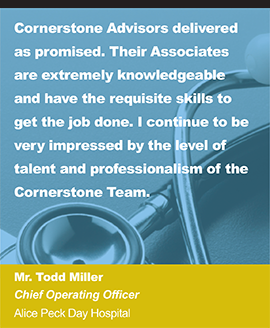 Our experienced team is available now for an ambulatory-based assessment. Mr. Atkinson is a multi-skilled consultant with exceptional training, workflow, quality improvement and online learning build out capabilities. 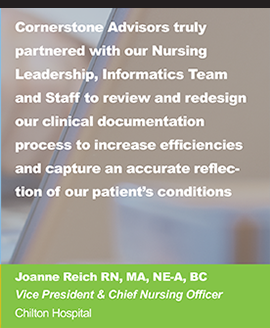 He most recently lead a PEARL assessment and implementation resulting in 98% end user satisfaction scores, an online provider training program, and a 33% reduction in classroom training time for clinical users. 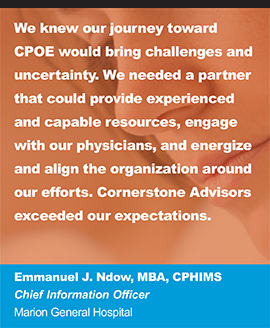 His experience covers a broad range of Epic customer environments including experience implementing new clinics onto Epic, conducting employee education, managing upgrade training, and assisting application teams with a variety of projects, including the last four years as an EpicCare Ambulatory certified Analyst and Lead Trainer. 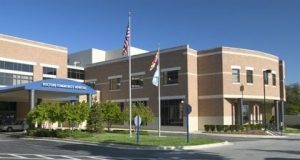 He has over 300 hours conducting class room training for outpatient nurses and providers, and is also responsible for conducting lab tech, pharmacy tech, resident, and pre-admission testing nurse training. As a Lead Trainer, Mr. Atkinson has superb classroom management abilities with excellent peer and end user evaluations, and has deep experience with training environment build. Ms. Kelada is a certified Medical Assistant and Consultant with over twenty years of Healthcare and IT experience including the last ten years as an Epic senior analyst. She brings exceptional workflow assessment skills and an understanding of the clinical environment. She has multiple Epic certifications and most recently supported a PEARL training implementation rolling out online provider training. 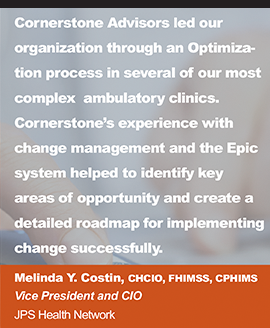 She has completed multiple full-life cycle implementations for both ambulatory physician offices and inpatient hospitals. She has also been the application lead for multiple Epic upgrades. As a former physician office manager for over ten years, she has a deep understanding of physicians, as well as the processes and workflows from check-in to check-out. This experience allows Ms. Kelada to very easily work with physicians, clinicians, front desk staff, and back office/billing staff in a trusted way that makes them feel comfortable. 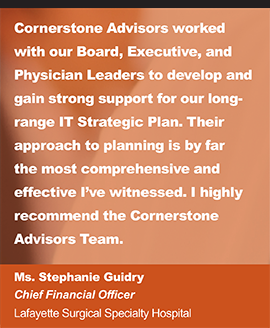 She also has experience as a medical billing instructor, so she is very comfortable communicating with end users on all levels during any phase of an implementation. 2. End user survey results, including statistical analysis, recommended interventions, and ROI expectations.